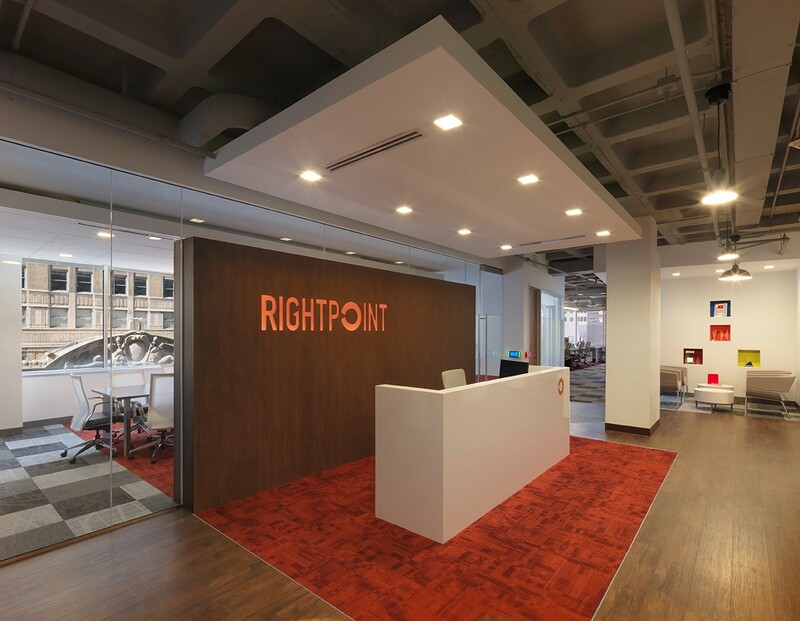 Rightpoint has grown quite a bit since its inception in 2007. You may remember that from a previous post, The Evolution of the Rightpoint Identity, but really we are in a perpetual state of evolution. The addition of new and stronger solutions and services, our stellar growth in people, locations and revenue, as well as the development of our user-centered design approach and creative prowess has been testament to that momentum. Our founders, Brad and Ross, had a vision for what Rightpoint would become years before they even opened the doors, and I like to think that we always find ways to exceed even their enthusiastic reverie. I have a couple of points to discuss on this subject, so let’s just call this The Evolution of the Rightpoint Identity, Part Two. (There, done.) Although the first post was about our identity as it pertains to the logo, our identity is much more than a well-designed type treatment and icon. It’s who we are, how we enrich the experiences of our teammates, and how we present ourselves to our clients and the world. 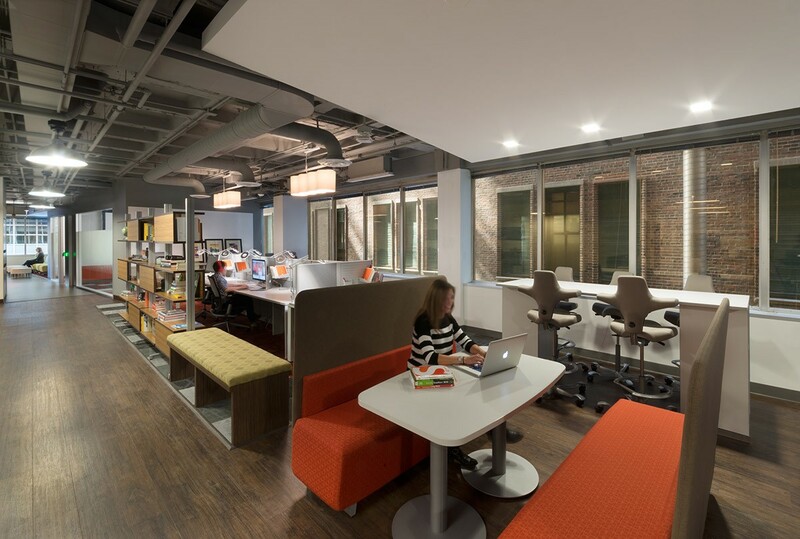 As a collaborative, values-based organization, one of the most important aspects of that evolution is our workspace. We have come to an amazing milestone with the design and build of our new home at 29 North Wacker. Affectionately abbreviated to 29N. Our space is not just a visual representation of our brand, it is the personification of our values, identity, working style and personality. The people that we work with every day are unique, highly-skilled and passionate people. They believe in the work that they do and choose to work with Rightpoint because they see a commitment beyond just having a job. They know that they are a part of something greater than themselves, not merely another cog in a large machine. The space we have designed, built and moved into at 29N lives and breathes in the principles that have made us successful. There’s obviously a lot of thought and planning that goes into moving. It entails many decisions in terms of location, size, amenities… the list can go on and on. It’s like a laundry list of technical specifications. But even more than that, the most important piece for us is the functional aesthetic of the space. We needed to be able to start with a blank slate and design it to enhance our unique culture and collaborative style. We worked with Holabird & Root to help us find that perfect balance of fun and function. 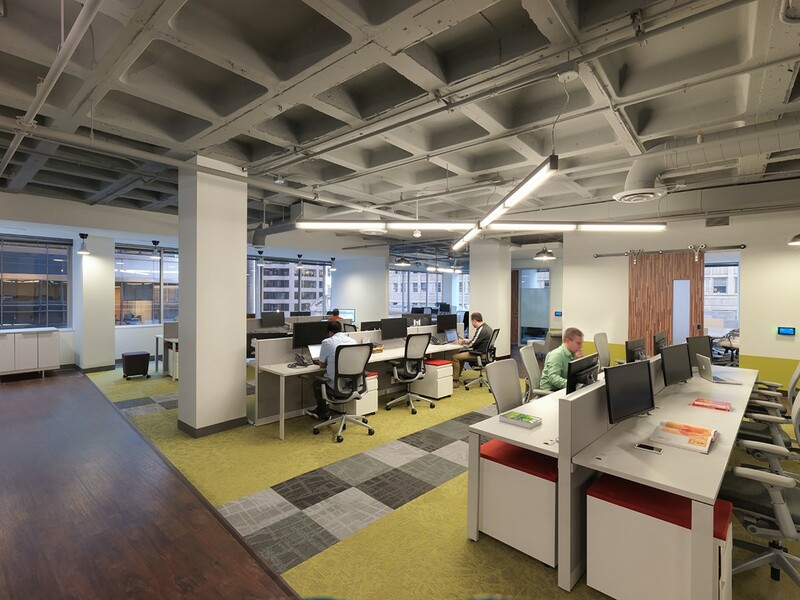 Cory Kamholz and Andrea Caputo, Associates at Holabird, did an amazing job of getting us to that vision with design, furnishings, surfaces, furniture, and even helping us manage through the build-out to ensure everything we mapped out was executed to plan. It’s all in the details, and that is an important factor in what makes our brand what it has become. 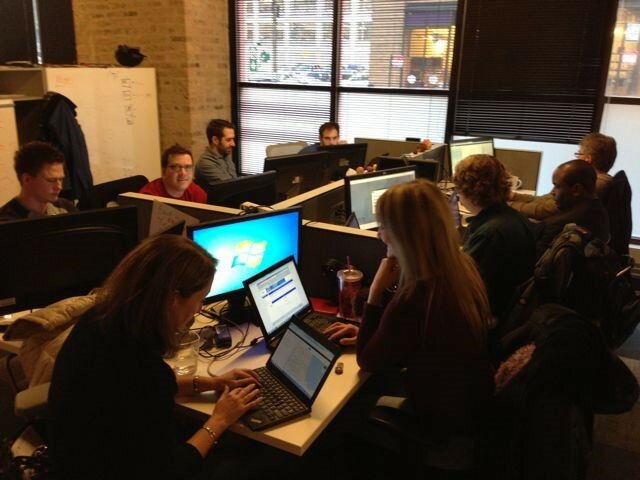 Since we are a highly collaborative group, there are many spaces that foster casual and formal team-based work. 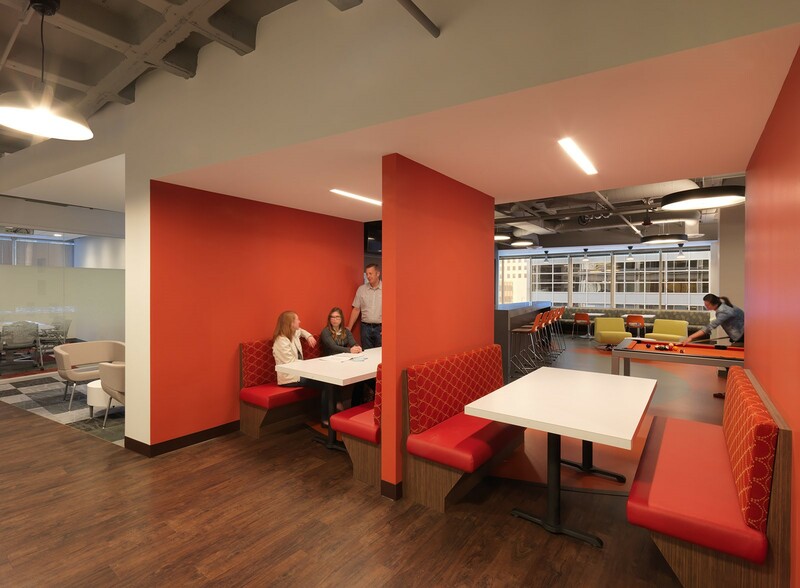 Soft-seating that has the vibe of a coffee shop, built-in restaurant-style booths complete with power, team rooms with whiteboard paint and the ability to share digitally with TVs or projector screens and open, inviting workstations that facilitate simple impromptu conversations. The values and culture are a huge element to our DNA so we put a lot of thought into ways we could elevate our investment of space to nurture and fortify that focus. The WOW Wall, which is a space for us to acknowledge and celebrate individual and team accomplishments has now gotten a digital upgrade with a tablet interface, touchscreen TVs, and a back-end that drives everything rather than being limited to the way it lived in the old office – just pen and paper. Hoteling workspaces strengthen social interaction as well as many of our seven core values by intermingling a great majority of our co-workers. When it comes to more conventional meeting space we have that covered pretty well too. 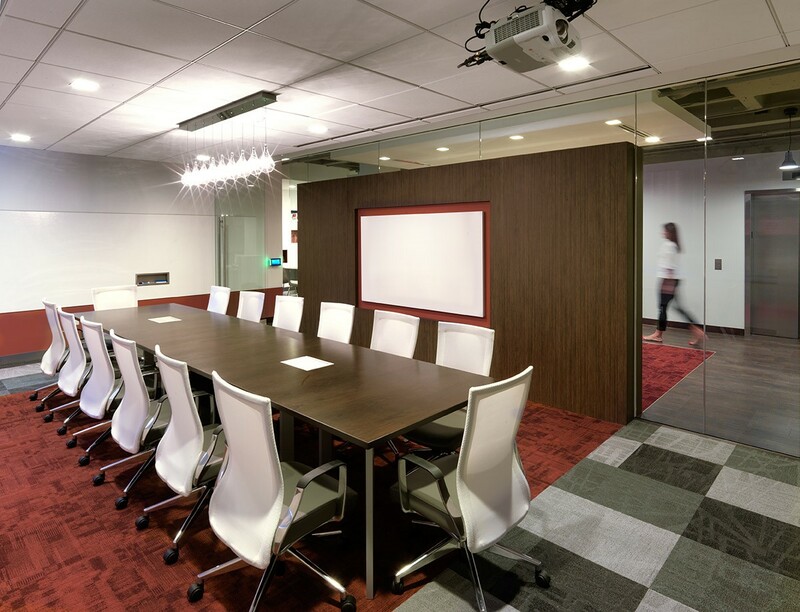 With five formal conference rooms and an additional five team rooms that double as conference rooms, we are able to provide the right space for practically any need. Half of those rooms provide an impressive view of the Civic Opera House across the street for a little visual flair as well. 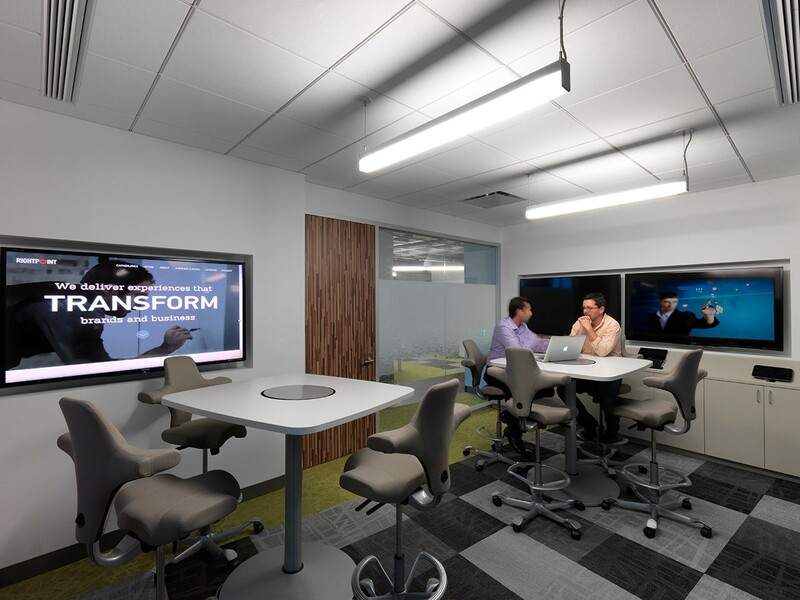 While it’s great to have enough conference rooms, we didn’t stop at just providing the typical big table and projector screen, we also created the Rightpoint Experience Center (RPX) where we have three 60” televisions, a device bar for all the latest tablets and phones and video conferencing capabilities. This has been a great tool for showing how different technologies work, how the latest responsive website we have designed and developed looks on a multitude of devices, testing user experience prototypes, and even watching a Blackhawks game. The lunch room was also designed around the important social aspects of our culture with a large expanse of space, a combination of casual and more traditional seating, the ability to conduct large presentations with a 135” projector screen and an island bar that doubles as a podium complete with power and data built-in. Speaking of the bar, we have also upgraded our ‘social amenities’ with a double beer tap, a dual-zone wine refrigerator, and a beverage fridge in addition to all the standard kitchen appliances. Beyond the ways to eat, drink and meet we have added a recreational centerpiece to the most social area of our office – a pool table. It is a beautiful eight foot table with Rightpoint-orange felt that doubles as a dining table through a hydraulic system and some fancy removable wood paneling. To fully understand how we have evolved, I would like to take you back in time to explain where we started to truly develop a brand persona. 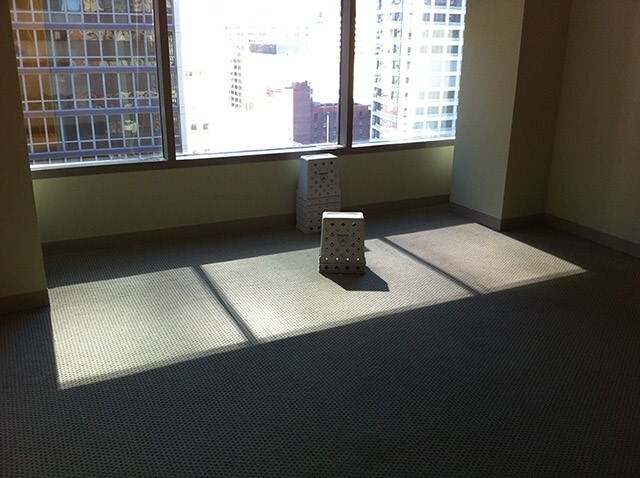 When I started with Rightpoint back in 2010 we had a sublet space at 200 West Madison that was not our own design, it was a combination of cubes and low-cost, big-box furniture. Enough space for the 25 or so of us to get work done, but not incredibly comfortable and definitely did not epitomize a collaborative environment. 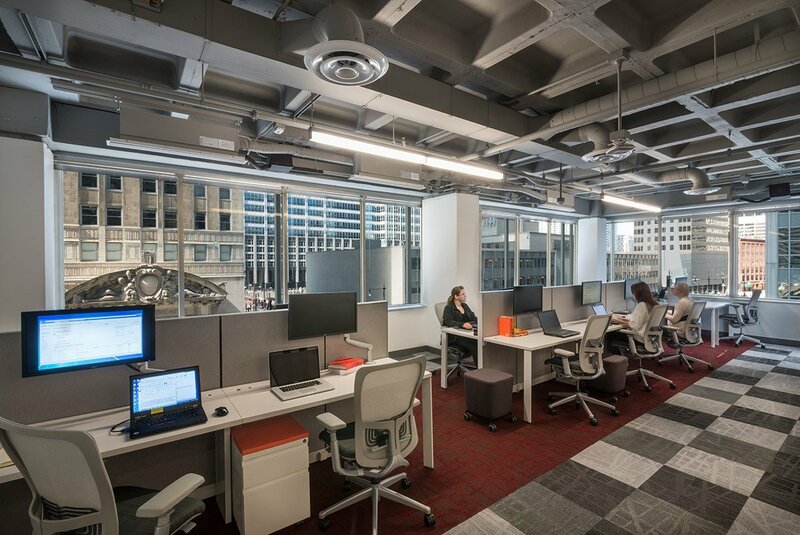 We first engaged with Holabird then to help us build out a new space in the west loop at 626 West Jackson with a vision of collaborative environment, soft seating for casual spaces, and plenty of meeting rooms. 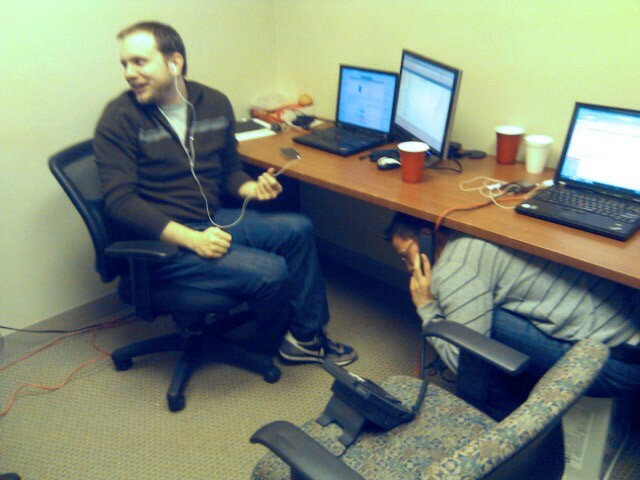 (We had one conference room at the time.) We were going from about 2,200 square feet to 6,000 so we had grand plans for utilizing the new and improved expanse, but more importantly it was our first opportunity to truly develop a new dimension to our brand. 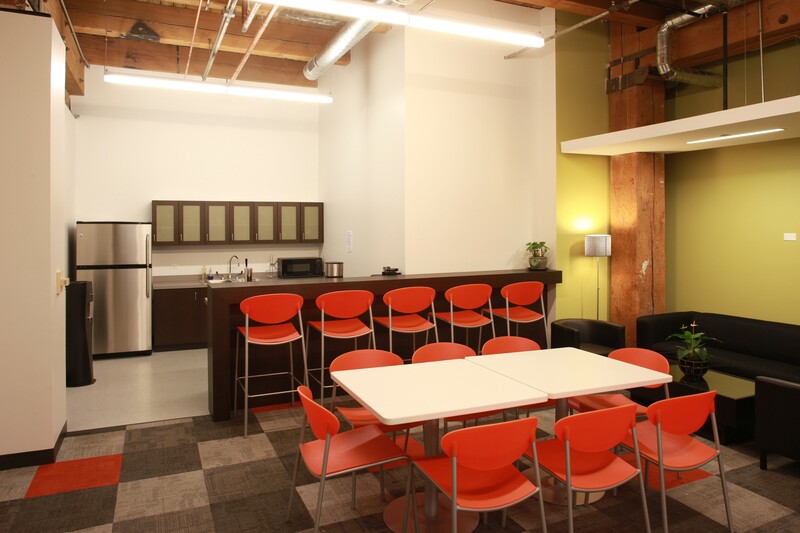 We developed a great space with 3 large conference rooms, 3 team rooms, open hoteling space and a nice kitchen with modest seating. The overall design was a simple yet functional extension of our brand complete with our main brand colors on the walls and in the flooring, workstations, desks and storage units that were part of a complete system and even sliding barn doors and a beer tap. We were thrilled with the outcome and truly felt like we were finally home. Well, home got cramped quickly as we grew at an even more accelerated rate than we anticipated. Much like the vision that our founders had for the personality of the organization, we blew past our projections for growth as well. Within just 2 years we had found ourselves in another position of sitting on top of each other and it was time to find a new space. 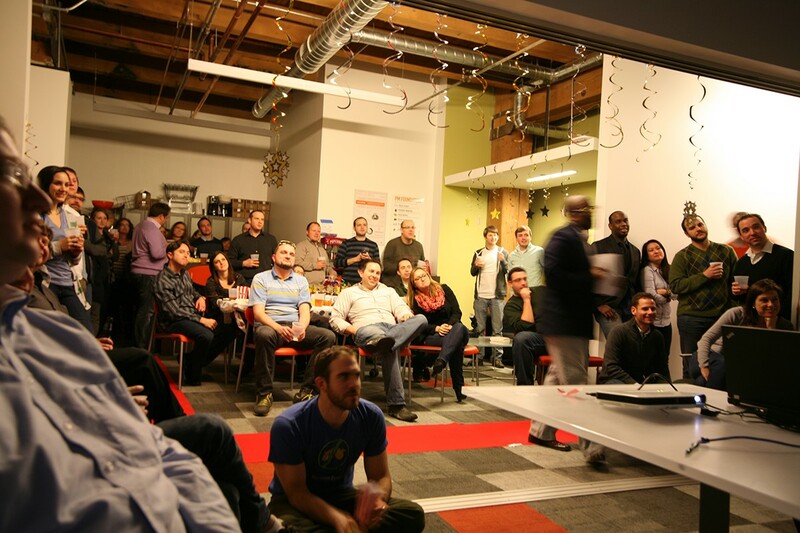 We again contacted Holabird & Root to help us expand our space…and our brand. We liked most of the things that we developed in the first space, but learned a lot about how we actually work and what we would improve upon as we moved forward. The opportunity to truly infuse and accentuate our persona was upon us and it was time to deliver. We are thrilled with the results and couldn’t be happier, but as I said before…we are in a constant state of evolution. 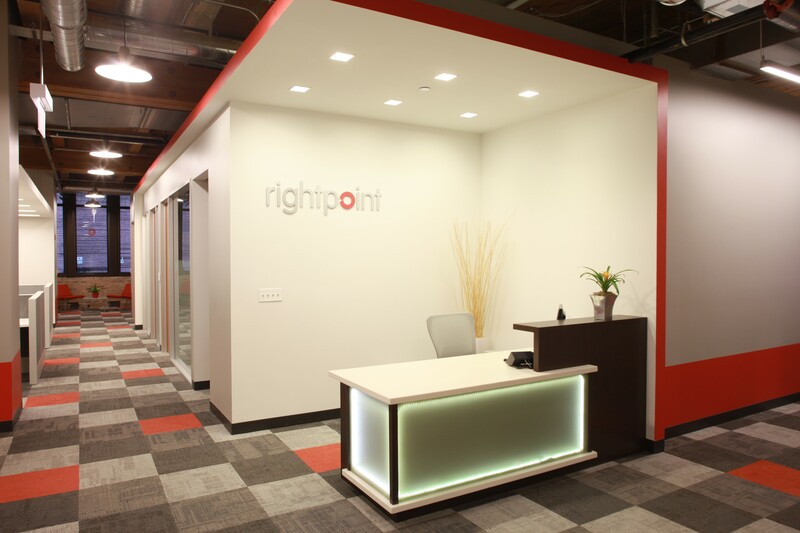 Next up will be the design and build out of Rightpoint Detroit and Denver. Stay tuned!